Over the past 35 years, economic productivity has grown 80 percent and the cost of living has risen along with it. Over the same time, incomes of hardworking American families have remained flat. Yet the Republican "Work Harder for Less" budget, released this week, attempts to balance the budget on the backs of the middle class and those trying to reach it. It deeply cuts programs that our families need to get ahead -- from nutrition assistance to Medicare and Medicaid, from job training to college affordability. At the same time, their budget includes an outrageous $50,000 tax cut for millionaires, among other gifts for the super-rich. 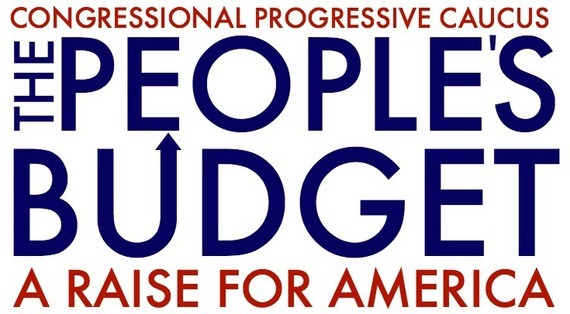 The Congressional Progressive Caucus' "People's Budget: A Raise for America," which I helped draft, strikes a strong contrast with the Republican plan. The "People's Budget" rewards hard work and invests in our country. It ensures that everyone has an opportunity to get a good education, find a good job, live in a safe and secure home, put food on the table, have affordable health care, save for retirement and maybe have a little left over. We pay for these critical investments by making sure that the richest among us, who have benefited the most from our economic growth -- some of whom are actively dodging taxes -- contribute a little more to our country. The "People's Budget" raises trillions of dollars in revenue by taking common-sense steps to make the tax code fair for regular folks. Our budget taxes all money -- whether made from work or investment -- at the same rate. It adopts my Fairness in Taxation Act, raising tax rates for millionaires and billionaires to between 45 and 49 percent. Those rates are more than fair; after all, Ronald Reagan's administration had higher top rates for most of his time in office. The "People's Budget" stops tax breaks that encourage corporations to send jobs and profits overseas. It ends deferral of taxes owed on profits earned around the world; stops so-called inversions, in which companies relocate overseas to avoid taxes; and eliminates a provision that allows companies to write off taxes for multimillion-dollar bonus payments to senior executives. The Republican budget repeals Obamacare, even though it has helped 16.4 million people get health insurance and improved the quality of coverage for millions more. The "People's Budget" builds on Obamacare by creating a public option, which would lead to even more healthcare savings. Our budget would repeal the misnamed "Cadillac Tax," which is just a way to increase out-of-pocket healthcare costs for hardworking men and women and their families. The contrast couldn't be clearer. 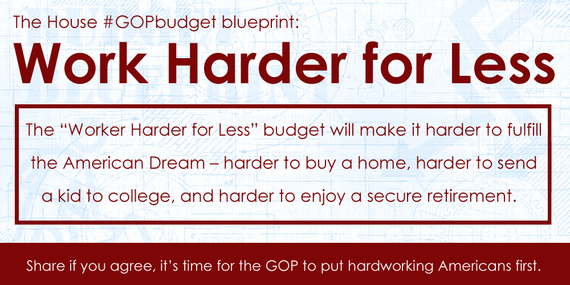 The Republican "Work Harder for Less" budget leaves more Americans even worse off than they are today. 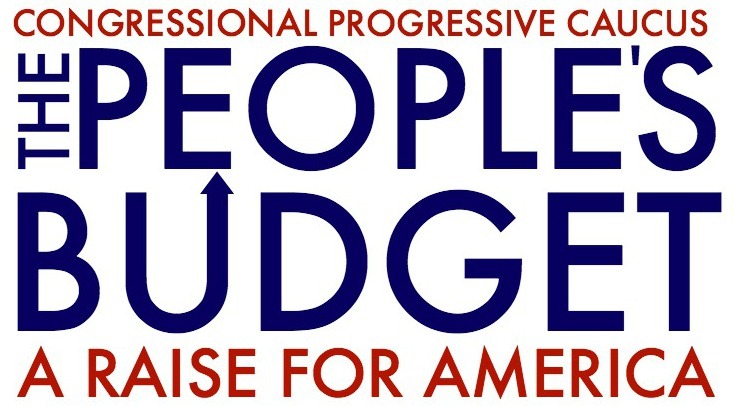 The "People's Budget" makes the critical investments needed to give the American people exactly what they deserve -- economic security and peace of mind -- and helps grow our economy from the middle out.